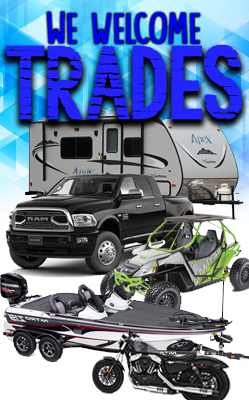 Summit RV can help you find the right truck cap or tonneau cover for your truck.Call our Parts Department at 606-928-6795 for more information. A.R.E. 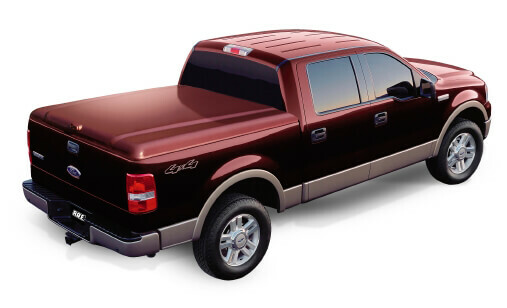 is the largest single-brand manufacturer of truck caps and hard tonneau covers in the U.S. A.R.E. products are constructed with OE quality hardware with corrosion-resistant coating, D.O.T.-approved safety glass and brake lights and heavy-duty window and door frames. Cap corners and stress areas have extra reinforcement. For optimal strength, A.R.E. manufactures its products with a high fiberglass content and a low ratio of filler. A.R.E. offers a limited lifetime warranty on paint and structure, a three-year warranty on locks and brake lights and a five-year warranty on gas props. 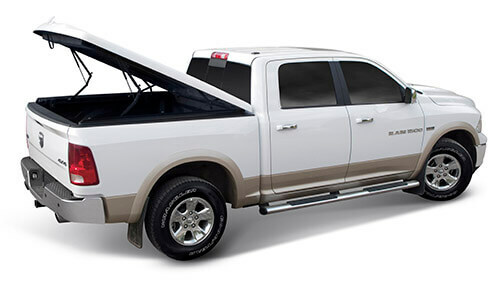 The LSII Tonneau Cover Series has premium components and a lift assist system that allows user-friendly opening for everyone. Standard features include lift assist, carpeted interior, patented palm handle, low profile composite clamp, OEM body line styling and weather-resistant seals. Contact us for more information. 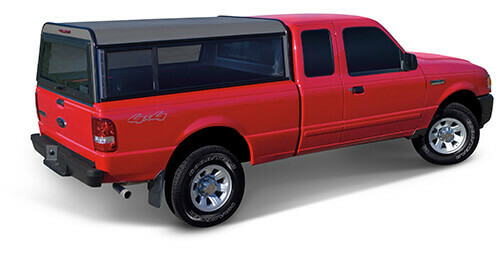 Compliment your truck's body lines with the LSX and LSX Ultra Tonneau Cover Series. A.R.E. 's scissor hinge technology means you get the best fit possible. The LSX Series comes with lift assist, carpeted interior, patented palm handle, low profile composite clamp, OEM body line styling, trimless edge, scissor hinge and weather-resistant seal - all standard. The LSX Ultra series features keyless entry, hardware shroud and interior light. Contact us for more information. The Z Truck Cap Series is A.R.E. 's premium model with top to bottom aerodynamic engineering and contemporary styling. Standard on the Z Series are front picture window, tinted screen-vent side windows, all-glass rear door with slam latch and fabric headliner. Contact us for more information. Versatility and function define the MX Truck Cap Series. It's mid-high roof provides more headroom and storage capacity while offering easier access to your gear. Standard features include front picture window, dark-tint side windows, front vista glass (not a skylight) and mitered radius half-sliders. Contact us for more information. The V Truck Cap Series offers traditional styling with smooth, clean body lines and numerous window options. Standard features include the front picture window, dark-tint side windows and radius half-sliders. Contact us for more information. The X Series is A.R.E. 's newest truck cap design. Featuring our innovative painted composite frame, this new cap will give your truck the "X Factor." Contact us for more information. 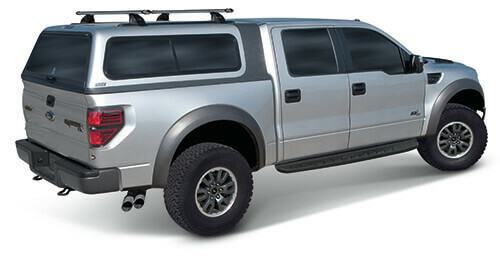 The Overland Series truck cap offers a tougher, more rugged look to complement today's trucks. It's unique two-toned off-road design features a spray-on protective coating which increases strength in high stress areas. Contact us for more information. A.R.E. 's aluminum caps offer lightweight, easily removable protection for your cargo. For the value minded consumer, this durable cap offers years of function and reliability. Optional full-vision side windows provide maximum visibility. Contact us for more information. 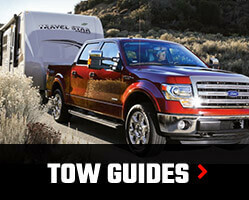 The steady rising design of the TW-Series takes full advantage of the capacity of your truck bed. Maximum head room, easy access, and aerodynamic styling make the TW-Series perfect for hauling gear while providing efficient airflow up and over any camper, trailer, or boat. Contact us for more information.